Cannon Mountain Ski Area History - Taxpayers for Cannon - Save Cannon Mountain ski area! 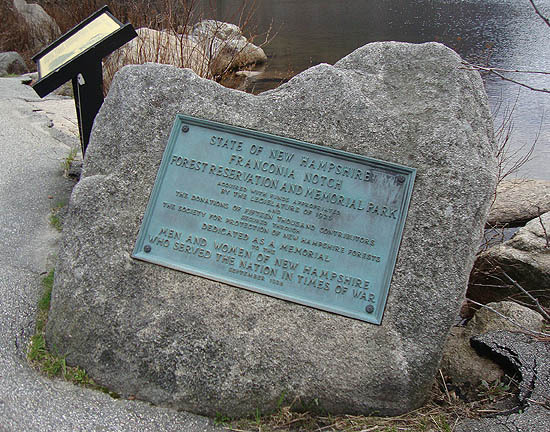 On September 15, 1928, Governor Spaulding formally dedicated the Franconia Notch Forest Reservation and Memorial Park “as a memorial to the men and women of New Hampshire who served the nation in times of war.” A small plaque was mounted on a rock on the northern shore of Profile Lake. In 1929, the state handed control of the Lonesome Lake Hut complex, located within the park, to the Appalachian Mountain Club. In February of 1933, the Richard Taft downhill ski trail opened on Cannon Mountain. In 1937, the New Hampshire Legislature approved the creation of the New Hampshire Aerial Tramway Commission. The legislation made no specific mention of skiing. On June 17, 1938, the country’s first major alpine aerial tramway opened on Cannon Mountain. In November of 1938, the country’s first commercial tramway ski area opened on Cannon Mountain. In the spring of 1950, the New Hampshire Legislature approved the abolition of the New Hampshire Aerial Tramway Commission, transferring any remaining funds to the forestry and recreation commission in June of 1951. 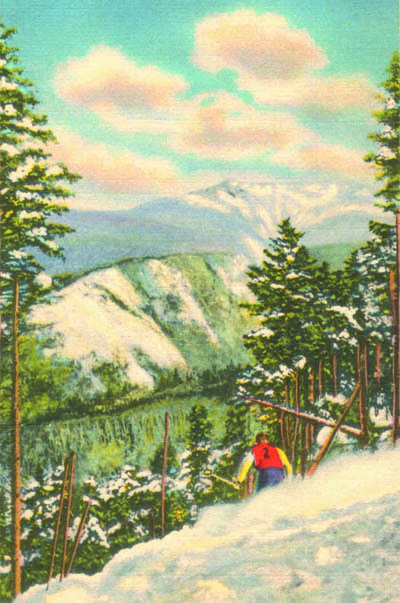 In the fall of 1955, a privately operated ski shop was added to Cannon's Peabody lodge. For the 1962-63 season, $640,000 (over $4.5 million in 2010 dollars) was invested in expansion at Cannon Mountain, including the construction of the Zoomer and Peabody double chairlifts. In March of 1967, Cannon Mountain hosted the country’s first World Cup ski races. In 1980, the American Steel & Wire aerial tramway was replaced with a $4.6 million (over $12 million in 2010 dollars) Nuova Agudio aerial tramway. On June 2, 1988, the Franconia Notch Parkway was dedicated by Governors Thomson, Dwinell, and Sununu. In spring 1998, numerous firms made bids on a lease of Cannon Mountain and Mount Sunapee. Bidders included ski companies connected to Bretton Woods, NH, Cranmore/Loon/Waterville Valley, NH, Jay Peak, VT, Okemo, VT, and Wachusett, MA. In a political compromise, only Mount Sunapee was leased. On July 1, 1998, Mount Sunapee ski area was leased to the owners of Okemo, with resulting revenue to be spent on a bond funding Cannon Mountain improvements. In 1999, Cannon installed three new chairlifts, including the $2.1 million Peabody Express Quad and two triple chairlifts (built from Mount Sunapee's summit triple chairlift, which was transferred to Cannon from Mount Sunapee's private operators). In 2006-2007, the most recent season in which the ski area recorded near-average snow fall (166" recorded vs. 160" average), Cannon posted a $492,814 operational loss (a -16% margin). Adding in debt payments in the Cannon Capital Account, Cannon cost the state $1,057,235 (a -35% margin). On January 1, 2011, Cannon opened the $2.6 million Mittersill lift, the most expensive double chairlift in New England history. The lift then closed for nearly half of a month due to a lack of snow.